Six (6) Lessons Learned from Celebrity Deaths | The Levin Law Firm - Philip Levin, Esq. The passing of two notable movie stars – Philip Seymour Hoffman and Paul Walker – provide a cautionary tale on the importance of keeping your Will, and other vital estate planning legal documents, up-to-date. In Hoffman’s case, his 2004 Will had never been updated and he fathered two children after it was created. Walker’s 2001 Will also was never updated to reflect important changes in his life. If Hoffman and Walker had sought the advice of a competent estate planning attorney, they would have been well advised to have established flexible Asset Protection Trusts for the benefit of their children, and potentially other family relatives. Conducting an Estate Plan Checkup, whenever major changes occur in your life – like a birth, death or divorce – is key to ensuring that your Will remains valid and that the people you love are taken care of in the way that you intend. Make Sure Your Estate Plan is Easy to Locate. 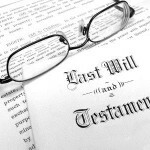 It is not uncommon for people to file away their Will in a safe deposit box. While this may seem prudent, it actually causes important estate planning documents to become inaccessible to family members, when they are needed. Make Wise Choices When Selecting Executors. You should strongly consider appointing more than one person to serve as executor for your estate – you will want backups if for some reason your primary choice cannot serve – you should also discuss your fiduciary appointment desires with each person that you have selected, in advance, to ensure their willingness to take on the job in the event of your passing. Avoid Contradictions in Your Estate Plan. Be sure that your Will, along with any Trusts you establish, do not contradict your choices for beneficiaries of your tax-deferred retirement plan accounts, employees benefit plans, life insurance policies, or annuity contracts. Appoint Capable Guardians. If you have minor children, one of the most important functions of your Will is to designate a Guardian, over both the person and property to be received by a minor. You must also designate a back-up Guardian, in case that person fails to qualify or is unable to serve. A contingent Guardian ensures that the raising of your children, or their finances, do not end up in the hands of a judge who did not know you nor the choices you might have made for your children. We have a free report we can send you which details five (5) common mistakes parents make when naming guardians – mistakes you definitely want to avoid! If you are interested, contact our office to ask for a free copy of this valuable report. Beware of Unintentional Disheritances. If you are divorced or remarried, and have one or more children from a previous marriage, you may desire to provide for your child(ren) as well as your current spouse. 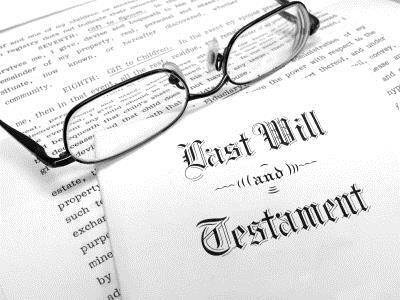 Therefore, it is vitally important that your Will contain the appropriate legal provisions to properly provide for each of your family members in your estate plan. If you wish to intentionally disinherit someone, your intentions can be included in your Will. Get Professional Legal Guidance. Wills and other estate planning documents downloaded from the internet are not tailored to the specific needs of your family. In addition, we have discovered that documents found on the internet, and in off-the-shelf software programs, are not in compliance with state statutory laws dealing with trust and estate matters. Therefore, in decisions concerning the ultimate distribution of all assets accumulated over the course of your life, it is very wise and extremelly prudent to seek the experience of a qualified estate planning attorney to help you avoid mistakes that could jeopardize your family’s financial future. Our clients have found that the best way to learn about protecting their families is to have a Family Wealth Planning Session at our office or their home. At The Levin Law Firm, we offer a Complimentary Consultation where we can identify the best estate planning strategies to provide for and protect the financial security of your loved ones. Please call Lauren at The Levin Law Firm to arrange a meeting with attorney Phil Levin to discuss your estate planning needs. Lauren can be contacted directly at (610) 977-2443, or by email at: info@levinlawyer.com.